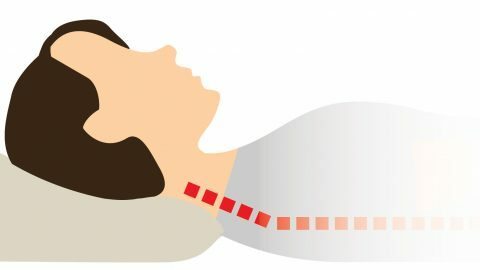 Sleeping on your back is considered the best way to sleep by doctors and sleep experts. When on your back, your head and neck are both in a near ideal neutral sleeping position. 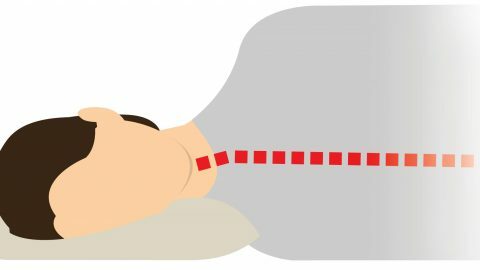 A neutral sleeping position keeps all the bits and pieces in your back in in their ideal positions, preventing unnecessary pressure on your discs, muscles and nerves. Keep your spine neutrally aligned and you’ll avoid discomfort (and worse). If you’re able to sleep on your back, you’re in the minority. Apparently only 14% of us are back sleepers. has adjustable loft so that you can fine-tune the thickness, keeping your head and neck properly elevated off your mattress. is firm and malleable, providing even and consistent support without pressure points. The thickness of your pillow matters, particularly for back sleepers! Most people are side sleepers and require a thicker pillow to keep the head and neck aligned properly. Thus, many pillow manufacturers design their products to efficiently accommodate this majority. 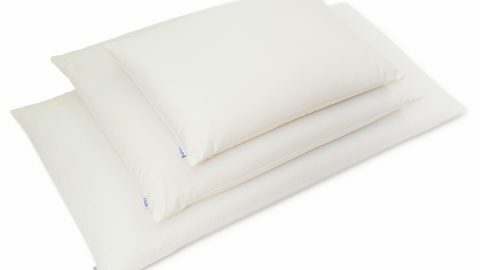 Most of these generic pillows are non-adjustable, leaving back sleepers with pillows that are simply too thick. Back sleepers may be familiar with the discomfort associated with a pillow that is not the correct thickness. The best pillow for back sleepers will adequately fill the space between yourself and the mattress, elevating your head only as high as is needed to achieve a neutral position. A pillow that’s too thick will cause your head to be elevated too high. As a result, your neck is bent upwards, potentially straining muscles, nerves and discs. Conversely a pillow that’s too thin will result in an uncomfortable downward bend in your neck. If you opt to buy a non-adjustable pillow type, shop carefully! When on your back, gravity will pull your head to your left or right shoulder as you sleep. The ideal back sleeper pillow keeps your head positioned relatively straight, or upright. This reduces the lateral twist in your neck that will cause unnecessary stress. Unfortunately many of the most popular pillow types aren’t capable of providing the support back sleepers require. They collapse under the weight of your head (foam), or simply aren’t malleable (memory foam). Most well-made buckwheat pillows are adjustable. They will include a zipper on the side, allowing you to add or remove fill so that its loft is just right for you. In most circumstances, you’ll want to remove some of the buckwheat hulls from a newly purchased buckwheat pillow to make it appropriate for a back sleeper. Buckwheat pillows are well-known for their malleability. They will conform perfectly to the contours of your head and neck providing even and consistent support all night long. It will hold its shape, and prevent your head from slumping from one side or the other. Buckwheat pillows will stay cool all night long thanks to the breathable nature of their filling. 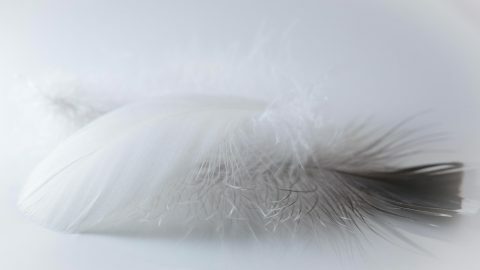 Warm moist air quickly circulates through the buckwheat hull fill and is continually replaced with cool fresh air while you sleep. Finally, buckwheat pillows are made from all natural materials that are safe for you and the environment. Please consider our product, Hullo™. We think it’s the best buckwheat pillow available, but don’t take my word for it, check out these customer reviews. Have you ever tried a buckwheat pillow? Sleep on Hullo for 60 nights and if you're not sleeping better, just send it back to us for a refund.